The West Virginia Department of Environmental Protections has accepted the site of the former Owens Illinois plant in Huntington into a voluntary remediation program. 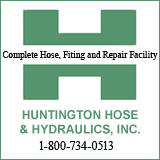 One of the last steps , according to a City of Huntington notice, will be restricting drilling of water wells at some locations in the city. October 5 (Thursday), St. Paul Lutheran Church, 721 12th Avenue, 7-7:30 p.m.
October 12 (Thursday), Huntington Federal Credit Union (rear), 481 W. 8th Avenue, 1-2 p.m.
October 19 (Thursday), Central United Methodist Church, 1043 Jefferson Avenue, 6:30-7:30 p.m. The Owens site --- which is next to the former Houdaille plant --- has been accepted into a voluntary remediation program. Special Metals has also been accepted into the program. 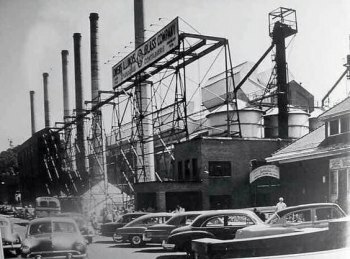 The Owens site has been identified for asbestos contamination. On a separate ground water related matter, hearings and discussions continue in Piketon, Ohio , over a plan to build a waste cell underground for storage of plutonium and other radioactive materials. Since 1979 contaminated portions of the Huntington Pilot Plant have been buried there in a 'classified' landfill. Documents indicate that some pollutants have leached into a nearby creek and the Scioto River. The waste cell would be over the Teays Aquifer which runs through Huntington below ground. ED NOTE: The Owens site has been identified for asbestos contamination.